Private (Pte) Arthur Burt who served with the Duke of Cornwall’s Light Infantry, has been honoured and has finally been laid to rest. 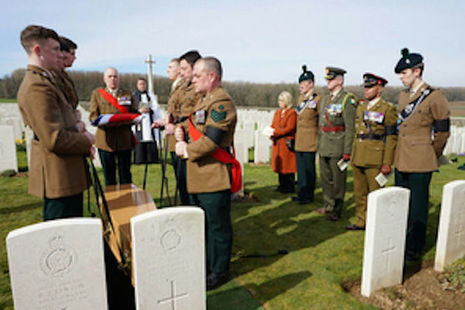 The resting places of Lieutenant (Lt) Gilbert Donnelly and Captain (Capt) John Forsythe Harvey, were honoured on Thursday 21 March during two rededication services held at the Commonwealth War Graves Commission’s (CWGC) Ste. 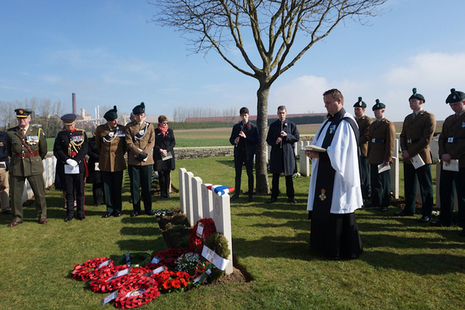 Emilie Valley Cemetery and Noyon New British Cemetery in France. Researchers from King’s College London, University of Oxford and Lancaster University are planning new research investigating whether past exposure to small doses of chemical warfare agents impact long term health. 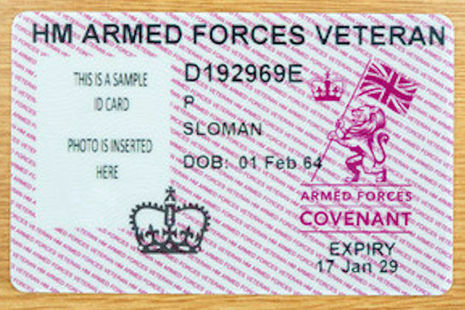 Veterans UK is part of the Ministry of Defence. When the helpline is closed, callers will be given the option to be routed to Combat Stress or The Samaritans 24hr helpline. As part of the Ministry of Defence's move to a new IT network, the email addresses of several Defence Business Services' (DBS) Enquiry Centres have changed. Our IT network security remains the same. If you need to send sensitive information to DBS, please ensure you are aware of your own or your organisations' IT security procedures, just as you would have done previously. The Operational Legacy Support Team within the Army Personnel Services Group is the Army’s lead for support and advice to Veterans on matters relating to legacy operations. Our aim is to provide assistance to personnel affected by the legacy investigation processes in Northern Ireland, Iraq and Afghanistan. 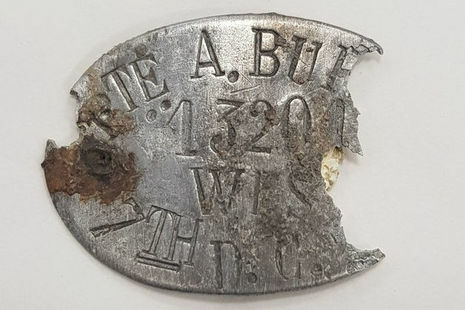 Further information can be found via the following link https://www.gov.uk/guidance/operational-legacy-investigations-and-inquests-help-for-veterans. All allegations of suspected fraud are processed in line with current legislation and Ministry of Defence fraud policy. Tell us if you suspect someone is committing fraud. Not to be used for requesting your own information (Subject Access Request), Service records including for deceased relatives, or pension enquiries. Read about the types of information we routinely publish in our Publication Scheme in the link above.